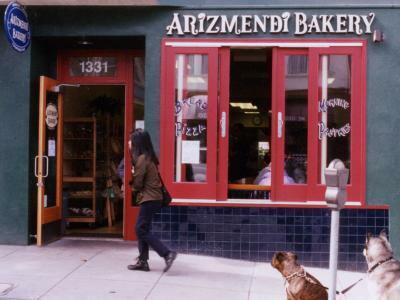 If you happen to be looking for your morning coffee near Golden Gate Park and the bright red storefront of the Arizmendi Bakery attracts your attention, congratulations. You have found what the readers of The San Francisco Bay Guardian, a local alt-weekly, deem the city’s best bakery. But it has another, less obvious, distinction. “We’re re-writing the standard storyline for a successful organic food business,” says Dan Rosenberg, founder of the twelve-year-old Greenfield, Massachusetts company Real Pickles, which makes naturally fermented and raw pickles from regionally-grown vegetables in a 100% solar-powered facility. Sharing has taken root and the #SharingSpring is in bloom. Around the world, people who understand the transformational power of the sharing movement are gathering together to collaborate, participate, rethink, swap, celebrate and create. Inspired by the Occupy movement, Arab Spring and M15, the #SharingSpring is about creating solutions to pressing issues in our communities right now. What Are You Waiting For? 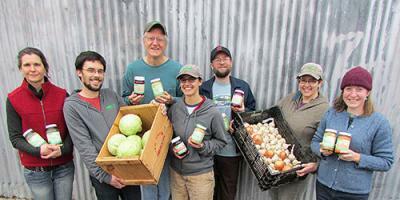 Join the #SharingSpring! After Late Mayor Lumumba is Laid to Rest, What's Next for Jackson, Mississippi? Kali Akuno and Glen Ford discuss the next steps for the grassroots movements in Jackson, Mississippi that propelled late mayor Chokwe Lumumba into office. Read more about After Late Mayor Lumumba is Laid to Rest, What's Next for Jackson, Mississippi? American consumers benefit to the tune of $8.5 billion due to credit unions’ presence in the marketplace. And the nation’s 98 million credit union members received $6.1 billion in benefits during the year ended Sept. 30, 2013, in the form of lower loan rates, higher dividends, and fewer and lower fees. [I]f we accept that difference in human communities is good and normal and expected, then we have got to learn how to be at ease with the range of human experience, bodies, cultures, subcultures, and values. If we want to be at ease with the complex reality of human difference, then we have got to learn how to be good to each other when we bump up against it – which we will, regularly, unless we want a conformist monoculture in which everyone behaves, thinks, and feels the same way. 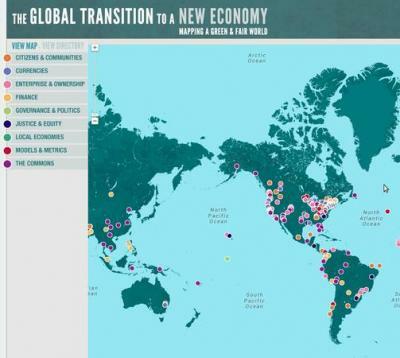 The emerging constellation of alternative economic activities celebrated on Shareable.net goes by many names—shared, gift, solidarity, social, cooperative, rooted, generative, and new economy are just a few—but they share many core values and aspirations in common. At six-foot-six he was a towering breath of fresh air for the thousands of Co-operative Group employees who pined for change. And, for a while, co-op democrats inside and outside the Group were in awe of a fresh change in management from Euan Sutherland; a renewed business focus. But as will undoubtedly become clear in the Kelly Report next month, there is and always has been a deep divide between the elected board members at the Group and the management they appoint – a phenomenon not just exclusive to this co-operative.